The Mother Lode Exchange Community Market is a local family-owned business. 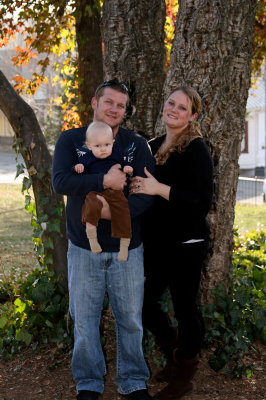 Hillary Solsbery grew up in Jackson on her family's historic Fregulia ranch. Eric was raised in Manteca and later moved to this area when his family bought a restaurant in West Point, Calaveras County. Eric and Hillary met in 2003. After moving back to the family ranch in 2015 with their son, Eric and Hillary decided it was time to build their dream of a sustainable farm and apiary (honey bee) business. They have spent the last few years grafting the family's old varieties of apple, pear, and plum trees onto healthy rootstock. These original friut trees along with fig, almond and olive trees were planted by Hillary's great, great grandparents, Dominico and Caterina Fregulia in the late 1800's. Currently the old orchard and garden areas are being replanted to offer organically grown produce to the family and the community. The idea of the Mother Lode Exchange Community Market is to enhance the opportunities for farmers, cottage food crafters, and artisans to sell locally. It also provides customers access to local and fresh items all year round. "The old pink building?" Yes! That's the one. The Chichizola Store was built in 1850 by Augustino A. Chichizola. He recognized the miner's need for a general store so he went into the mercantile business. The main room was the original structure. In 1904 and again in 1912 the store was renovated for more space to accommodate the growing need of the community. The Chichizola Store sold everything including furniture, clothing, groceries, livestock feed, mining equipment. The store closed to the public in 1972. The Mother Lode Land Trust acquired the property and has been given the task of maintaining the entire complex while providing opportunities for the community. 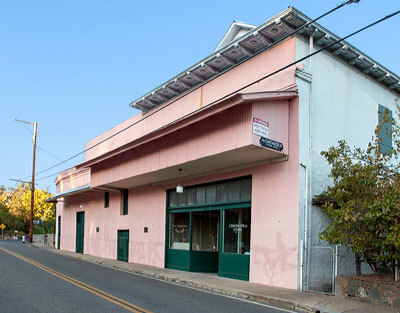 The building was a piano store and consignment shop before it held the MLE community market. Our Mission: Working with landowners to ensure the continuation of the rural character of the Mother Lode through the preservation of agricultural and forest lands, natural and scenic sites, historical places, and other unique properties in California's gold country.